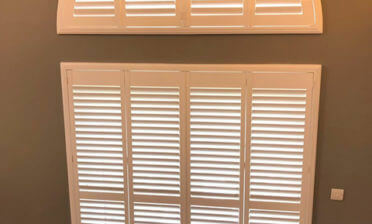 Mike travelled to Halstead, Essex to install these specially made shutters for a client called Jeremy’s wardrobe area. An unusual install compared to the daily installs we carry out, but a type of install that we have lots of experience in and have designed for before! 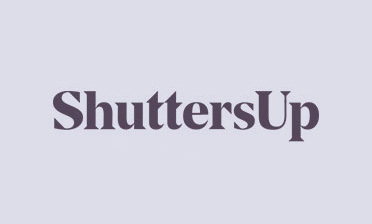 We love fitting shutters to any space or area of the home and try and promote the fact that shutters are not just for windows. This is a great example of our expertise coming into play to find the perfect solution for our client. Creating shutters for this wardrobe demonstrates the versatility of the shaping of our shutters, not only created to match the exact areas of the wardrobe, but designed around the ceiling slope without compromising the functionality or look of the shutters. 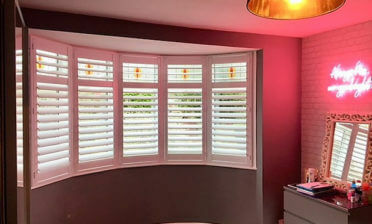 All shutters open and close with ease as well as the louvres still fully functional with a silent tilt rod system as they would be on window shutters. We used our Fiji Material for this install, which is made from Paulownia hardwood which is the lightest range we offer. It is great for wide expanses such as this allowing ease of use while still maintaining a robust structure. Each panel features 67mm louvres and mid rails for added strength. 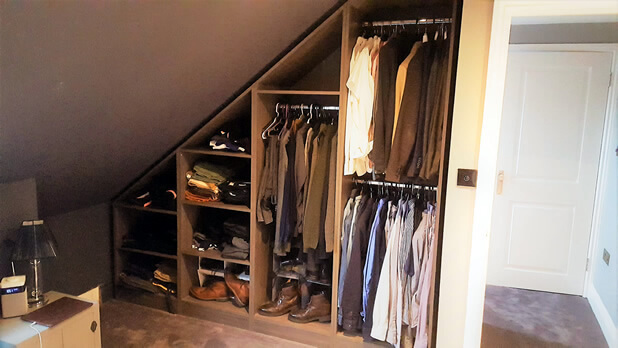 The client was trying to achieve a far tidier look to the wardrobe while also adding a unique style compared to standard solid doors. 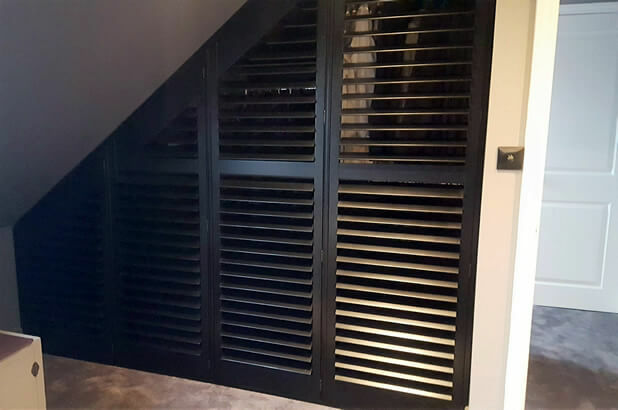 By adjusting the louvres you can also see inside the wardrobe slightly which we think is a nice touch compared to having them fully closed at all times.